Welcome to Active Health Physio Timaru, Temuka, Waimate & Fairlie (previously Physio Centre) your one stop Physio practice, where we pride ourselves on our quality physio services to get you back to your best. We hope you enjoy your stay and you find the information you are looking for, if not please don’t hesitate to contact us. Active Health Physio is based in Timaru, New Zealand, with physio clinics in Timaru, Waimate, Temuka and Fairlie. We are an experienced team of Physiotherapists, Pilates instructors and Occupational therapists. Our Physiotherapists & Occupational Therapists have a range of qualifications and in depth experience in spinal treatment, back pain, manipulation, post-surgical management, rehabilitation, pilates, occupational health , workplace assessments and workplace talks. Book to see one of our Physio’s today, our team has the training and expertise to help you get back to your best. Need a Physio think Active Health. For a great Physiotherapist or Occupational therapist in the Timaru district contact us today or you can book online Here. More than just great Physios. Rachael Boyce started her physiotherapy career at Canterbury Hospital in 1994 after graduating from Otago University with a Bachelor of Physiotherapy with Credit and achieving 2nd best performing student in her year. Rachael came to work in Timaru in 1996 at Physical Health Centre doing 2 years before travelling to the UK where she worked for the British Army as a physiotherapist in Germany and England. In 2000, Rachael returned to Physical Health Centre (T/A Physio Centre) where she took over managing the clinic as sole physiotherapist before purchasing it in 2001. Since then, Rachael has expanded the depth and scope of the practice from just treating musculoskeletal sports injuries and post-surgical rehabilitation, to specialised back care, pilates classes and occupational injury management for both injured parties and employers. In 2014 Rachael & her husband Peter purchased Active Health Services Timaru and combined the Physio Centre and Active Health Services businesses rebranding as Active Health. Rachael and the team have worked with multiple sports teams and athletes including South Canterbury NPC Rugby team, Timaru Boys High Canterbury Crusaders 1st XV, Coast to coast athletes, Te Waipounamu Rugby & South Island Maori Womens rugby team. Active Health is recognized throughout South Canterbury as an industry leader supplying physiotherapy treatment and vocational services to some of South Canterbury’s largest employers and highest achieving sports people and teams. Active Health gained ACC accreditation, which is the ISO 2000 equivalent, in 2004 which recognizes excellent in business systems and efficiency. ACC accredited practices have been shown by ACC to produce better outcomes for patients in shorter time frames than non-accredited practices. Need a Physio think Active Health. The Physio for you. …an experienced team of Physiotherapists, Occupational Therapists and Pilates instructors. 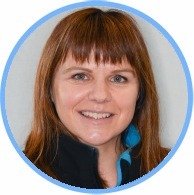 Rachael has been qualified since 1994 and has a well rounded background in physiotherapy having worked in New Zealand and overseas, having worked with the British Army and various sports teams; and in the last decade specialising in Occupational Health and Vocational work. Rachael has completed a Post-Graduate Diploma in Sports Medicine, a Certificate in Spinal Manipulation and a Post-Graduate Certificate in Occupational Health. She is also a Pilates Instructor,to an advanced level. Pete’s focus is to keep Active Health at the forefront of delivering services that utilize technology to communicate between medical team members and other parties quickly and efficiently to ensure patient service delivery is fast. 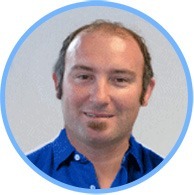 He also is responsible for company finances and our IT maintenance and development.